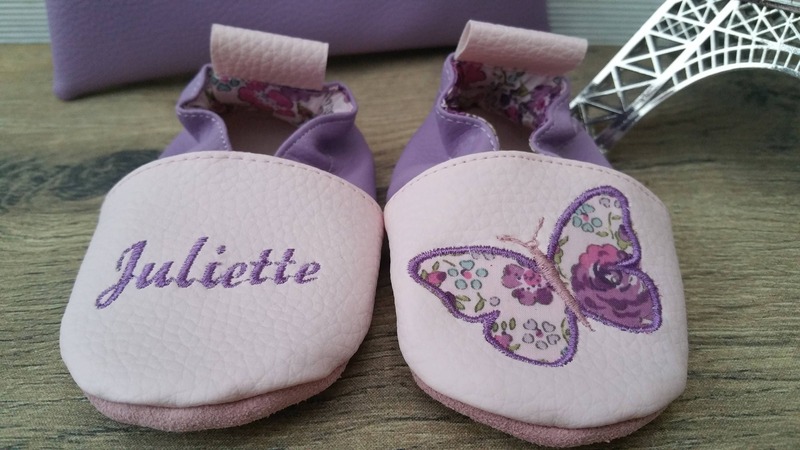 Slippers soft leather and leatherette, baby, boy, girl, child, personalized, birthstone pack, butterfly, birthstone gift bag. 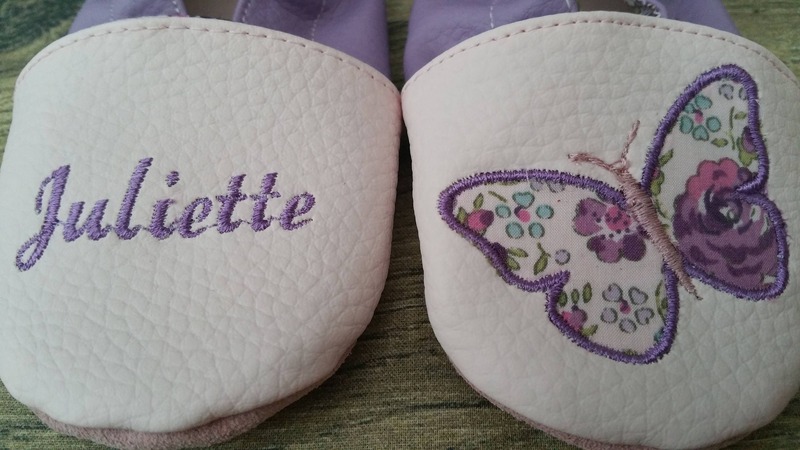 Pair of soft slippers made of faux leather for the front and back. The sole is genuine leather. 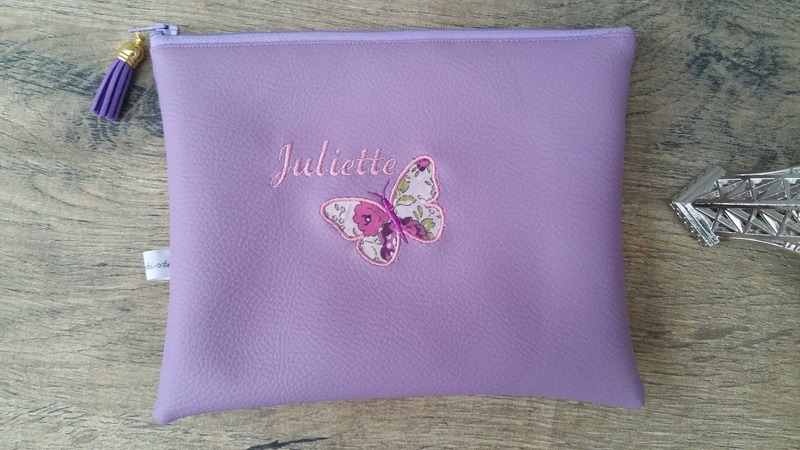 The lining is made of liberty cotton. 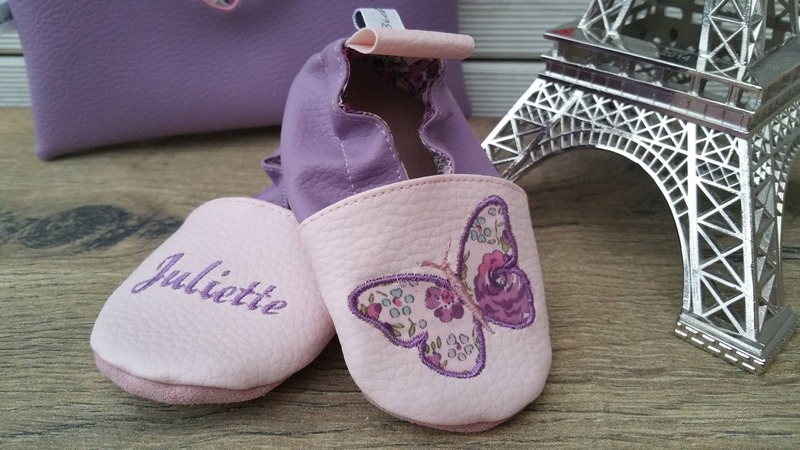 The pair shown here is made of pink faux leather baby on the front and purple on the back. 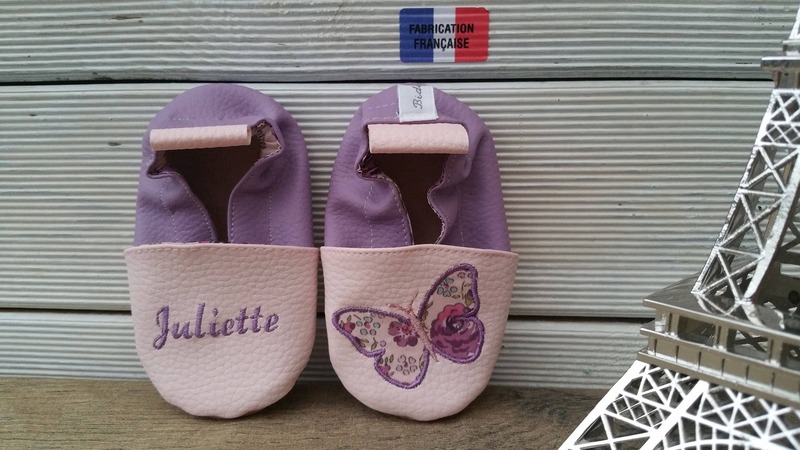 On one foot of the name of child and the other a butterfly applique. 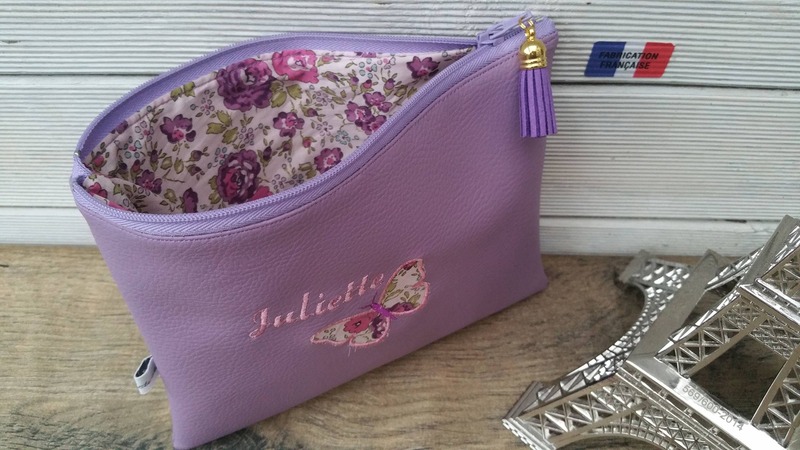 Clutch faux purple leather with a 20 x 15. 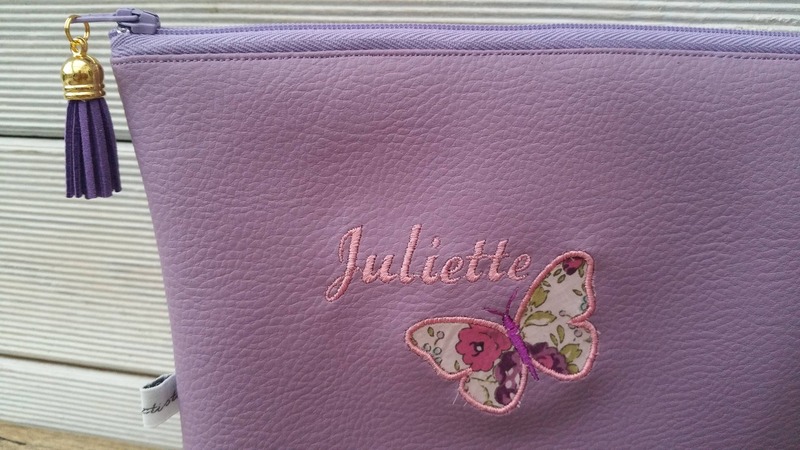 Embroidered child's name and a butterfly applique.